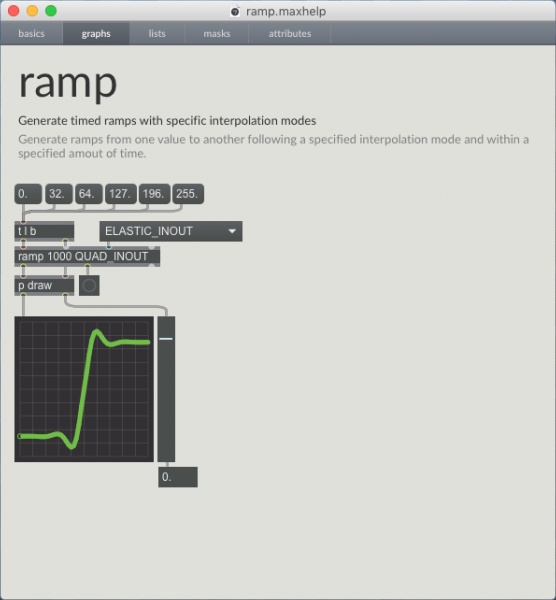 ramp provide extended data interpolation function in Max. It extend the classic line object with pause function, ease in/out curves and list interpolation. Is this and smoov Mac only? Neither external is recognised on my Windows PC. Hi, I'm new into all of this and didn't try to compile for Windows yet. I'll try this as soon as possible. I've been looking for something like this. Great work - thanks! This is so great.... Thanks!!! !